1. Check before you leave your bench. NO WARPS, SURFACES TRUE. You always do this, don't you! 2. Balance the model where shown on plan. It will be further back than an R/C model, approximately 45 - 60 per cent. 3. Check the prop clutch works. 4. The field: - take some plasticine, remove prop, nose block and rubber motor. Rebalance model with plasticine in the nose. Now test glide the model. Nose dive, pack up the trailing edge of the tail plane 1/32 at a time. Stall: pack leading edge of tail plane, 1/32 at a time. 5. Having achieved a decent glide you know your airframe is OK.
6. Remove plasticine and refit rubber motor. Wind on about 50 turns and gently launch at a flat angle. Usual result, an immediate power stall. Down thrust is needed., pack top of nose block 1/16. In all probability it will not be enough (who said it would be easy!). At this point, it would be better to introduce some right thrust. Pack the top left hand corner of the nose block 1/16 - this will give some down and right thrust. Right thrust will help keep the 'nose down'. Too much right thrust will have the model ploughing the field with its nose. Gyroscopic precession is the reason for this. All trims, packing, should be small steps - there is no trim button to save the day. Best of luck to all diddy fliers. 'You will fly in interesting times'. "when you have the rubber motor which should be longer than the fuz make it twice the length put on several turns until it can be halved and when returned to length of fuz it will stop the nose block falling ou as the motor runs out also the rubber should be lubricated with caster oil that's how we did it in the old days dont run the rubber dry it wont last". Its great to see the interest and enthusiasm growing for this event, so if any of you have any issues with your builds and want solutions/support or a helping hand, let me know and I can circulate this amongst our experts who can give further guidance to us all! Also, if you have any photos of your builds, send me a photo and I will email them out to your colleagues. Three rounds were flown in lovely warm weather with a slight north wind and lovely BLUE sky. There were 6 members present. Gordon has given us the following dates for this year’s competitions reminding everyone that they are “FUN EVENTS” and that we could do with more entrants so, if you haven’t taken part previously, give it a go! Alternative dates are given in case of poor weather conditions. Weather permitting, I hope to hold the first Competition next year, in the middle of May, and if we have booked Andrew Taylors field I will plan for those days as well. Thanks for the support from the members that entered the Competitions, and hope we have more support from the members in 2017. For a change the weather was fairly calm. whether competing or not. And the BBQ went down well. time at 2.00 pm. It will be Scale and Bungee Glider. Bungee Glider, John Heals Memorial Shield. Of the 6 days of Competitions only 3 were flown due to weather conditions. 6. Colin 2m 14 sec. Touch and Go Number of touches in 3 min. Climb and Glide Results. 18 April 2015. Limbo was not held as it was considered too windy for the tape strength. This part will be held on another Competition day when it’s not too windy. 2014 end of year summary.... Gordon reported that most of the Club Competitions had been flown with a few changes in dates due to weather conditions. The most entries attracted for any of the competitions was 6 which was for the 'Climb and Glide' comp. The second most popular event was the Bungee Glider Competition with 4 entries. Otherwise the number of entries was poor. 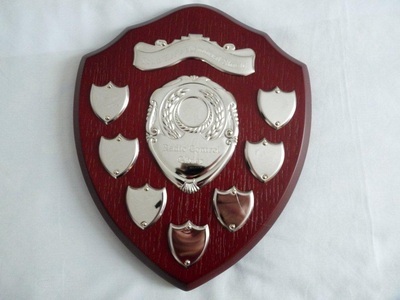 Gordon hoped for more entries in 2015 but thanked those Members who had taken part in 2014. Hi Guys, Just to give you a heads up on the Scale Comp on 11 October, start time 1300 or 1.00 pm. As long as the model looks scalesh it’s the flying I will be checking which should be near to scale. It will consist of 6 manoeuvres — Take off, 4 nominations by you [loop, wing over. lazy, 8 low fly pass,touch and go.descending circle, wing over, land. you can pre note any manoeuvre you are happy to do . These are just examples. See you all there, weather permitting. Cheers, Gordon. 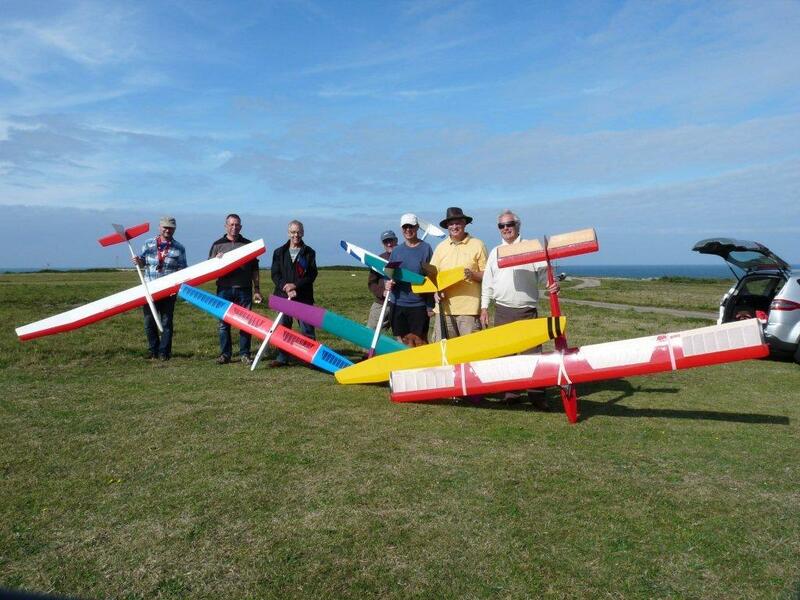 There were 4 entries for the Glider Comp and 2 for the scale.The weather was excellent and it was disappointing not to have more support for the competitions.It’s only for fun and gives a boost to your flying in front of your friends. 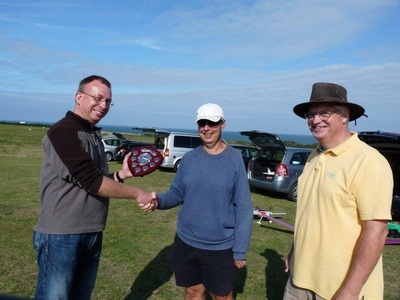 A “Scale Competition” and Touch and go will be held on the 11th October. This may be the last for this year, so please support it. It has been suggested that we have a Bungee Launch Glider Comp on the 23 August along with the Scale and Spot Landing. I am happy to run the 3 comps on that day, so come on our members, How about a bit more support for the Competitions instead of the usual 6 that turn up. Fly even if you do not enter . At least we will have a few more on the day. Thanks to all in anticipation.